With a stay at Gran Hotel in Cuenca, you'll be within a 5-minute walk of San Cenaculo Church and San Sebastian Plaza. Featured amenities include dry cleaning/laundry services, a 24-hour front desk, and luggage storage. When you a stay at La Casita de la Playa in Puerto Villamil, you'll be on the beach, just steps from Galapagos National Park and Puerto Villamil Beach. The front desk is staffed during limited hours. 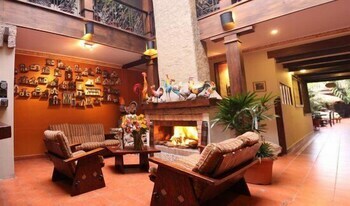 When you stay at Hosteria San Vicente in Guayllabamba, you'll be steps from Quito Zoo. Free self parking is available onsite.